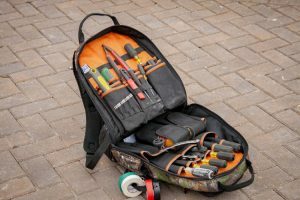 Whether you’re planning to procure an all-around property contractor for a significant building task, creating a core maintenance team to maintain your rental’s systems, or simply need to have a property contractor to remedy some difficulties around your residence, here are some tips you can use to track down the ideal tradies as well as obtaining a tremendous job, at a good rate. When searching for a property improvement expert with a reliable standing as well as a significant line-up of recommendations, one of the very best practices to start your search is by talking to your network of family, buddies, and colleagues for suggestions. Some of the most reliable tradesmen are typically some of the hardest to come across, since they typically get a great deal of trade from referrals, they do not need to promote themselves. If your word-of-mouth search does not provide you with at least 3 potential options, the second step is to look online. Google and Yelp testimonials, as well as various online comments can be a great source of details and feedback that can really help you discover and examine possible tradies. Furthermore, depending upon what sort of undertaking you’re recruiting for, some tradesmen might have online photo galleries illustrating some of their completed jobs. The more complete your specification is, the more accurate your prospective property maintenance contractors can be in providing you an appraisal of the amount of time it will take to complete, as well as how much it is going to cost. The general guide is to obtain price quotes from at least 3 tradespeople before choosing exactly who to contract. Not only does this deliver you a variety of choices, it motivates the tradesmen you speak with to shave their asking prices. Where larger works are concerned, this ought to be an agreement. Each state has marginally varying criteria regarding the value of a project that mandates a written agreement. You should refer to the authority in your area for the specifics. Many service providers are expected to come with a licence that verifies their occupation. It’s more significant to look at the tradesperson’s licence as opposed to qualifications, as the licence can be withdrawn or suspended by the overseeing body in the eventuality of a serious failure to act within relevant guidelines. Tradespeople are not excused from conducting themselves professionally in the place of work, both in their appearance and behaviour. Some qualities to be wary of are a lack of communication, and also consistent tardiness. See to it they have licensed contractors insurance coverage for a minimum of $1,000,000 cover. Public liability insurance plans are compulsory and gives liability protective cover from third party injuries together with residential property damage produced by the contractor. Cover documents must be up to date and valid for the duration of the job. If a service provider becomes injured on duty, their income insurance will certainly cover their individual losses, however their liability insurance policy coverage will cover any kind of damage that befalls your property in the course of the work. NEVER recompense a project beforehand! This is an infallible method to run into setbacks and half-done jobs as there is no motivation for the tradies to get the deed done. It is acceptable to pay close to 10 percent ahead of time to show good faith. Final payment really shouldn’t be solicited before the project has been fulfilled, and you are happy with all work in accordance with existing guidelines. Expenses for components, though, are reasonable. 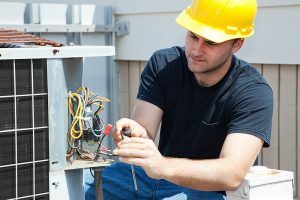 It is extremely acceptable for home owners to supply some funds to the tradie or contractor to acquire the components entailed for the task. Although you might think that you’re defeating the tax office by saving on GST, it’s important to get a tax invoice or proof of purchase for the services undertaken. Watch out for any type of tradesperson that demand cash in hand fees with a less expensive fee that removes sales tax, as this can present a significant threat to your insurance. With an excellent selection procedure in effect, plus a strong contract in hand, you’ll have outstanding odds of winding up pleased with your service provider and with the way your home improvement job turns out. We all recognize that sometimes life doesn’t quite go to plan. If jobs are unfinished or not complete to an adequate degree, your tradespeople ought to be held accountable. The first thing to do in this situation is raise your issues with the tradesman or company. At the same time you can sit on your last transaction till the agreed work has actually been completed to standard. If all attempts to do this fall short and the property maintenance contractor seems to be deliberately staying away from you, the next step is to bring it to your state or region’s customer protection agency. Disagreements with building contractors over disbursements as well as products can usually be conciliated and dealt with by the local government authorities. Talk to your local government body for more relevant information on what’s available in your specific region. This entry was posted in Property, Property Management. Bookmark the permalink.